Here is a story I almost forgot about. I am glad Mrs. Claus reminded me! It was Mouse the Littlest Elf’s very first day in the North Pole Workshop. She was so excited! She could hardly wait. She wanted to find out what her new job was going to be! Was she going to make dolls for good little girls? Was she going to make iPads, iPods or iPhones? She could not wait to find out! She had been so excited to help at the Workshop. She knew she could help. She was not going to let what the other elves had said stop her. So, Mouse the Littlest Elf walked around the Workshop. She walked to the present wrapping machine to help some elves unwrap Clumsy the Elf (again). But Clumsy was already unwrapped by the time she got there. There was quite a bit of ribbon left on the floor from Clumsy. So Mouse picked up a long piece of ribbon and started to play with it. Before you knew it, she had made a beautiful Christmas bow with the ribbon. No one had ever seen a Christmas bow before. But now Mouse did not know what to do with the pretty bow. Clumsy was walking toward Mouse with a present. So, Mouse the Littlest Elf stuck the bow right on top of that present. Clumsy stopped. Suddenly the whole North Pole Workshop was very quiet. The elves were all looking at Mouse and the present. Mouse was a little afraid she had done something wrong. Then the elves all started to cheer! They all came running. They had never seen a Christmas bow before! They had never seen a Christmas bow on a present before! They loved it! They thought it was the best thing ever! I like Mouse the elf. YES I STILL THINK MOUSE WOULD BE THE SMALLIEST RIGHT THIS SECOUND!!!!!!!!!!!!! that’s a cute story i love it but it is true an elfs an elf no matter how small and mouse i am smaller than all my friends and im 8 sometimes its good to be small . and its not so bad being small sometimes it dose not matter. what is the elfs doing? I think Mouse was right. santa claus you is so sweet and so good to everybody, for christmas you gave me a barbie,a art set, and my mom gave me a pony and you can paint it and put stickers on it. do you want to no something. you is so fat cause you drink coke- a- coala . for now i’m gonna call you big faty ho,ho,ho . an elf is a elf no matter how small or big sooooooooooo it is ok!!! An Elf an Elf no matter how small. Hi Santa . My friend Gage saw you when he was a little boy and you gave him a big bag of little dinosaurs when he lived in Indiana.If you saw him, come to my house at Christmas Eve at midnight.If i saw you, it will be my best day in the world oh,and I will give you cookies by my three foot Christmas tree.My dog broke our big Christmas tree last year. And see my siblings. yes, because you cant help how tall you are you are not in controle of how tall you are in less you eat every thing at thanksgiving but you dont wanna be that stuffed (wink wink). i think you are right!!!!!!!!!!!!!!!!!!!!!!!! GO MOUSE GO MOUSE! MOUSE RULES AND SO DO THE OTHER ELFS! some times i am told that i can’t do things because i am to small! but it dosen’t matter what we look like because in God’s eye’s we are all the same! and he gave us somthing special to share and you never know what has been hapening in our lives! if we all looked the same the world would be pretty boring! So never let the other elves put you down you are special in your own way and you need to share those talents that God gave you! dearsanta, thank you for all the presents. my family is small so i no how it is to be small.she waz rite to say that.if you are big or small people will love you. You go Mouse! You are the best! Who cares what size you are! Hope you are doing good in the workshop! I just know she was right. Because like we say here ‘no matter how short no matter how tall a person is a person’. PPS.Exspecialy you Mouse the Elf. Nice name! Good thing Mouse came along! Bows are soooo pretty! Yay Mouse! Merry Christmas everyone! go girl you were right I don’t care how small you are you are the same as ever other elf. You go girl keep making those bows. I am 26 and I look like i’m 12 so in a way, I too feel like I am a Christmas elf sometimes. mouse you never gave up and I think thats so cool.sometimes I have probloms doing stuff like that. p.s I hope the elfs are still nice to you. Billy, dear santa, I have tried to be good this year. My little sister and me fight alot. Daddy and mommy say you wont come if we don’t stop fighting all the time. We seen you at our favorite store(walmart). My little sister was to scared to sit on your lap. Mouse was def. Right’! Im a tiny little 12 year old but that doesnt stopcme from doing what i want! you did a fantastic job elf. see no matter how big or how small you are no one make can make fun of you know matter what what size or age you are. Wow! I’m suprised that the elves never seen a christmas bow before!!!!!!!!!!!!!!!!!!!!!!!!!!!!!!! Mouse was right. No matter how small you are you are you are always useful! Please write back if you can I know the workshop can get busy in December. Hi,I have a friend that is not that tall in fact shes kind of small people say shes small but that doesn’t let her down. When she first came she had no friends,but now she is one of my best friends so I am glad you didn’t at that let you down (because I really like the bow on presents)and you just keep doing what your doing. my friends call me short too. It makes me feel bad but i agree with u. you r still u no matter how small!!!!!!! Yes, an elf is an elf no matter how small. You show a great character trait, confidence. You have inspired me to do well in my concert. Please tell everyone at the North Pole to see it! Later! P.S. Santa can you make it longer?? hey. i love christmas so much!! i just can’t wait until u come. my whole family is going to be there when me and my brother jackson open our presents. we are both very excited about it. but i have to go now. time for bed. AMAZING!!! i cant wait until christmas! that was a great story!!!!! WOW! I love it! P.S. Tell Mouse that she was right please. i think you are a nice man Santa. I am really gald you stood up for yourself mouse. I now have the confidence to stand up for myself also. i like the way that you said an elf is an elf no matter how small you are.she was right its not your size that matters its what you have inside. i wish i could meet mouse. wow an elf is a elf.even know there small there just elfs. it was great beacase it was just great! i have been a little bad but i think i shoud be on the good list . I am also really small and tiny. People at school always say how tiny and cute I am but really I am a big girl. I am 7 yrs old. I always help mom and people can always depend on me. I know its hard to be small but mom always says it takes someone super special to be tiny and small. We are tiny but mighty!! longer. I am so happy that we get to celabrate gods birthday in 18 days. I love you and merry almost christmas. Dear, Mouse I like how you say an elf`s an elf no matter how small. Plus I also like how you showed all the elves a Cristmis bow on a present and make all the elves want to put a Cristmis bow on every present. that is such a sweet story santa! its on the inside that counts. love u santa! Wow! What an inspiring story! It was awesome! i love santa and i love the ELF’S. I think that mouse is right about being small, my best freind is really small, but she is the smartest in are maths class, and the fastest runner in the races! I think you were right after all an elf’s an elf!They might think your to small but your just perfect size anyway. because then you will feel a bit down. But never listen to anyone. yeah the Andy girl/boy is right. hi mrs claus i love everything about you aswell and i really want to meet you,God bless you. 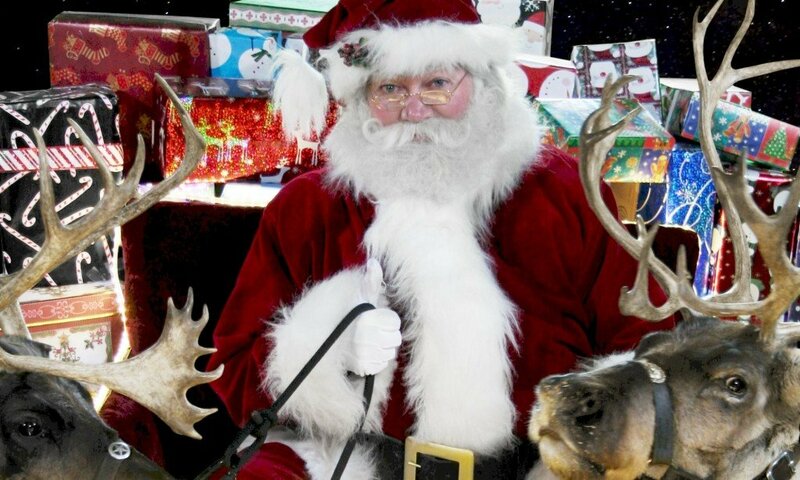 hi santa i love everything about you and really want to meet you,bless you. great story!!! she was totally right!!!! Santa I loved the Story!!! hi you are right it does not matter who is small and who is not and i am glad i found that lovely story, it was very interesting. I love your site!!!!!! how are you!!!!!! I love you Mouse the Little Elf! Stay true! Previous PostPrevious Christmas Knock Knock Jokes! Next PostNext Santa Trackers Needed!